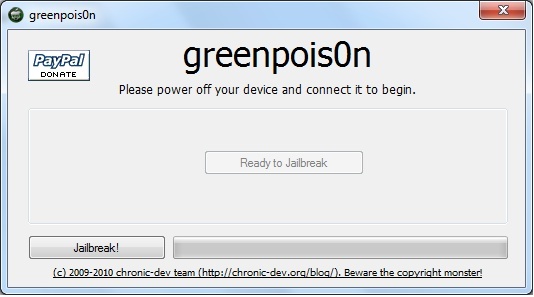 This step by step GreenPois0n guide and tutorial will show you how to jailbreak your iPhone 4.1 using GreenPois0n, the new jailbreak by Chronic Dev Team. This GreenPois0n guide will work for the iPhone 3GS, iPhone 4, iPad, iPod Touch 3G, and iPod Touch 4G. 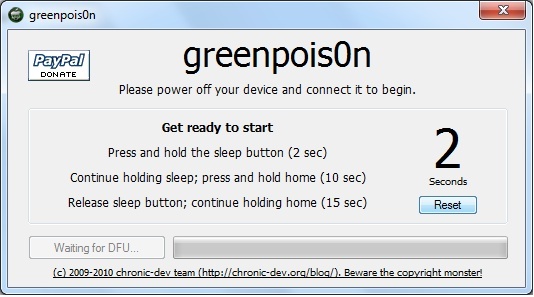 GreenPois0n is is available for Windows, Mac, and Linux. 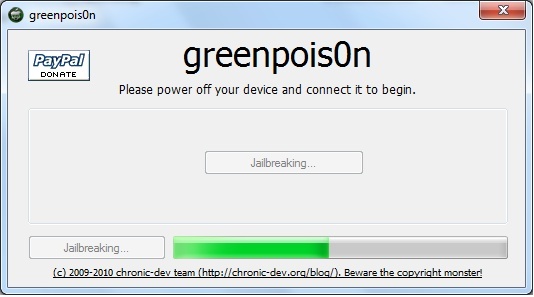 Although we encountered a few issues here and there, we were able to jailbreak our iPhone 4 successfully using greenpois0n. Once you get around a few hiccups, the process really isn’t all that difficult. 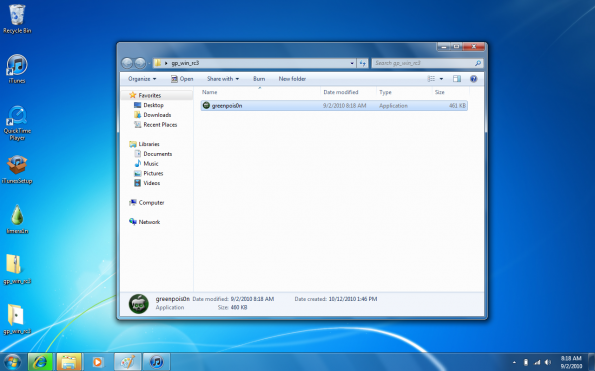 Check inside as we step through the jailbreak process with greenpois0n using a Windows machine. The steps are exactly the same no matter what platform you use. 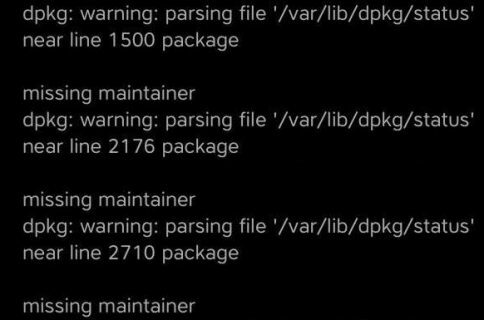 Step 1: Download GreenPois0n and run it as an administrator. Step 2: Power off your iPhone, and connect it to your PC. Step 3: Walk through the steps to put your iPhone into DFU mode to prepare for jailbreak. Step 4: Once you’re in DFU mode, click the ‘Jailbreak!’ button to jailbreak your iPhone. Step 5: Now, just wait until the status bar shows complete, and your iPhone will reboot to the home screen. Step 7: You should now have a new “Loader” icon on your springboard. Launch Loader. Select Cydia > Install Cydia. Step 8: One Cydia has successfully been installed, you will be asked if you want to remove Loader. Hit “Remove” and your iPhone will automatically reboot. Done! After your iPhone has rebooted, you will have a completely jailbroken iPhone with Cydia installed on your springboard. Let us know how the process goes for you.